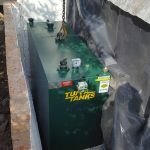 Our client came to Tuffa knowing that they could obtain a tank specifically to suit their needs. 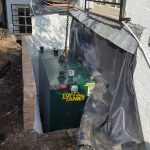 The intended location for the tank was such that it had to be made to certain dimensions and fitted with equipment in certain positions whilst being manufactured with integral Fire Protection so that it would conform to Building Regulations due to the locality of the tank being adjacent to a building/boundary. 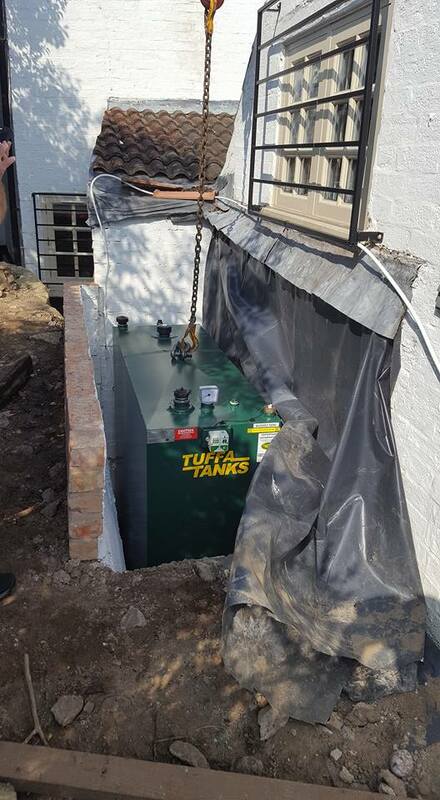 The 870 litre steel Fire Protected tank was indeed the perfect solution. The maximum dimensions it could be were 1525mm long and 610mm wide. 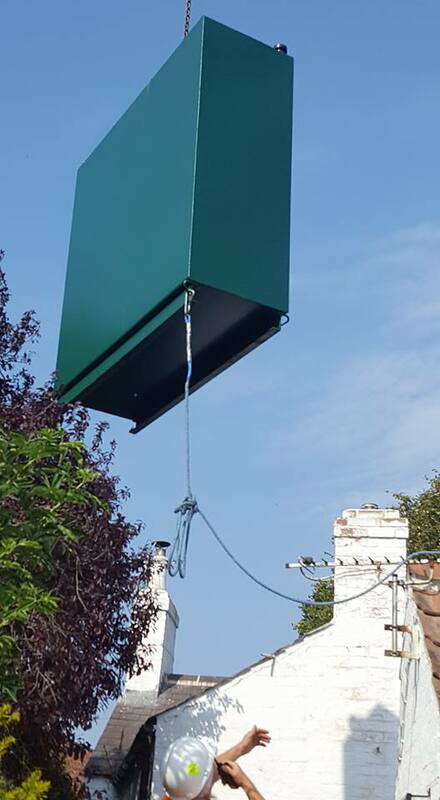 To obtain a suitable capacity the tank was manufactured to 1700mm (L) x 600mm (W) x 1700mm (H) and was fitted with 60 minute Fire Protection and a battery bund alarm. 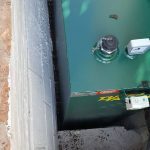 The 2″ fill point, 1″ outlet and float gauge were fitted to the top of the tank to enable sufficient access to them since the bottom of the tank would be out of reach. 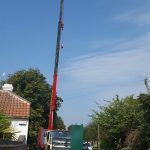 A crane company was on site awaiting delivery of the fire protected tank to off-load and manoeuvre the tank in to position. Another job well done! 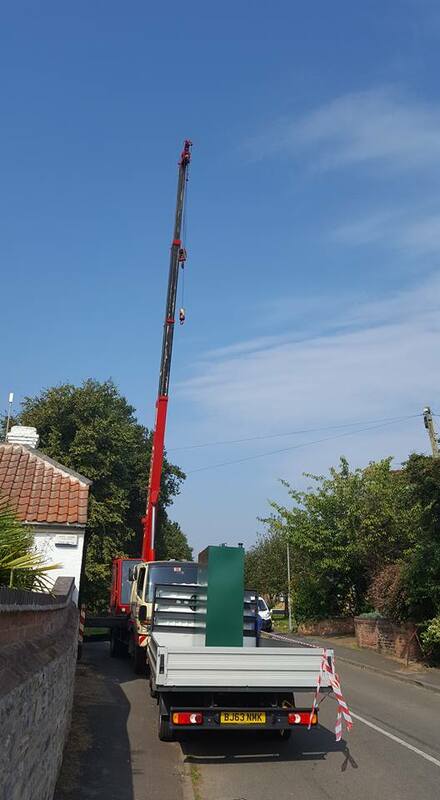 “My wife and I live in the delightful Nottinghamshire village of Wysall – a lovely location but a little remote, with no mains gas for heating. 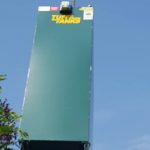 Earlier this year, we identified that our existing domestic heating tank required replacement and due to the nature of our requirements would require a bespoke design, so we approached marked-leading Tuffa Tanks for advice. 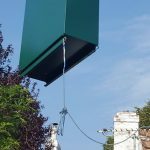 Anyone buying a domestic tank will be aware that that tank designs and their eventual locations are governed by OFTEC and Building Regulations – Tuffa were really helpful in advising us on tank design features to accommodate these stringent requirements. 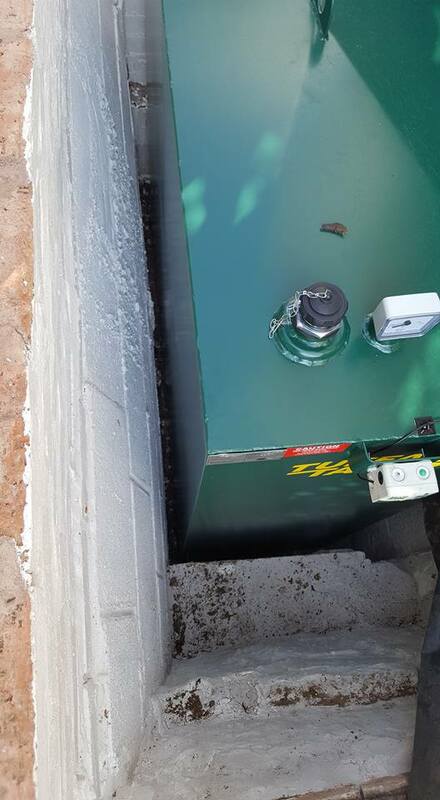 Subsequent to an initial engineering site survey, a bespoke tank design was agreed which could maximise the potential capacity of the tank, incorporate the requisite fire protection, and allow us to position the tank discretely within the existing tank location. 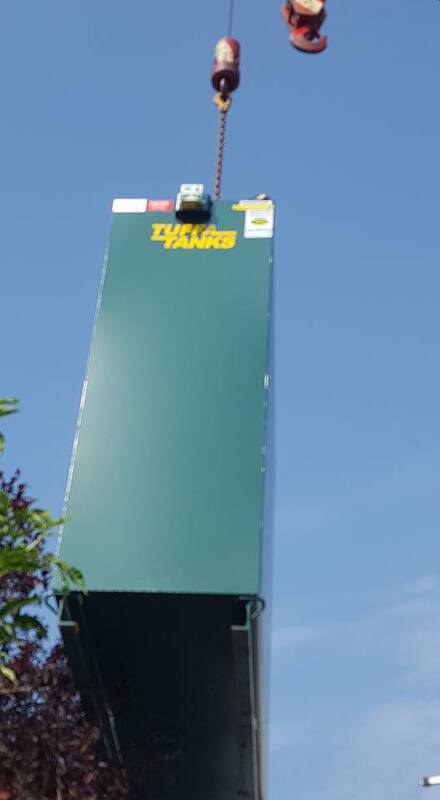 Following our order, the tank itself took some 6 weeks to manufacture, and was delivered on a sunny September afternoon. 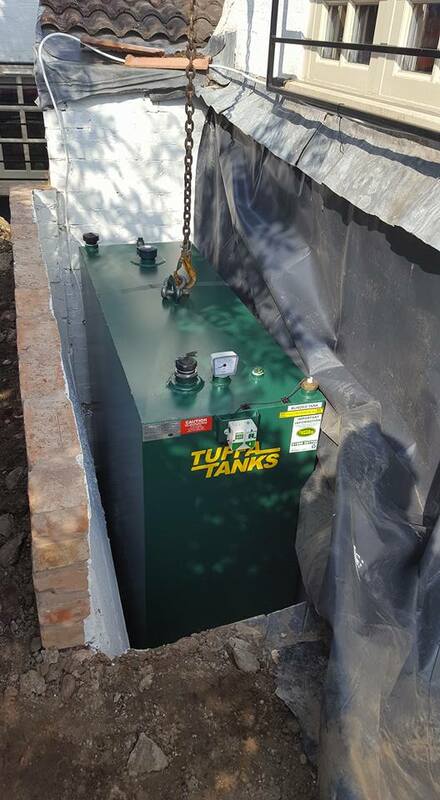 Tuffa successfully managed the installation process, leaving us the proud owners of a wonderful new tank – just in time to turn on the Central Heating!